As I study God’s Word concerning the “Last Days,” and I observe everything taking place around the world, I am more convinced than ever that the return of Christ is imminent. Every day that I wake up, I realize that I am one day closer to His return; whether I meet Him in death or I meet Him in the air, I know I will see Him soon. While this is great news for me, my heart breaks to know that many of my loved ones, and particularly my two sons and their families, will suffer seven years of global calamity such as the world has never known at best, or they will spend eternity in hell at worst. I know that the distasteful topic of hell offends many, but since Jesus spoke more about hell than He did about heaven, serious consideration needs to be given the topic. I want to know that all those whom I love are written in the “Lamb’s Book of Life” (Revelation 20:12), and that they will go with me when I disappear rather than wait for a second chance. And say, Thus saith the Lord GOD; Behold, I am against thee, O Gog, the chief prince of Meshech and Tubal: And I will turn thee back, and put hooks into thy jaws, and I will bring thee forth … Persia, Ethiopia, and Libya with them … Gomer, and all his bands; the house of Togarmah of the north quarters, and all his bands: and many people with thee. Be thou prepared, and prepare for thyself, thou, and all thy company that are assembled unto thee, and be thou a guard unto them. After many days thou shalt be visited: in the latter years thou shalt come into the land that is brought back from the sword, and is gathered out of many people, against the mountains of Israel, which have been always waste: but it is brought forth out of the nations, and they shall dwell safely all of them. Thou shalt ascend and come like a storm, thou shalt be like a cloud to cover the land, thou, and all thy bands, and many people with thee. (Ezekiel 38:3-9, emphasis mine). The names of the nations mentioned above may be unfamiliar to you, but without going into a great deal of detail, Gog is Russia and the others are basically all the current Islamic nations surrounding Israel. God is in control of this and He will draw them in to attack Israel, but His ultimate goal is to show the “heathen” who God is. My guess is that it will not go well for them. In any case, things seem to be moving in that direction. I may or may not be around to witness this event. Whether I disappear before this or just after, there will be millions of Christians that will disappear along with me from all over the world. This will have devastating effects on the global economy, especially here in the US where most of the world Christian population resides. Since most Christians have conservative values, they work and contribute to GNP of the US, and they pay most of the taxes. Consequently, that loss of “producers” will cripple the US economy, which is already teetering from unsustainable debt, and that will create a domino effect throughout the world. With the world reeling from war and economic chaos, fear, hitherto unknown, will grip the hearts of people, and they will cry out for someone to take charge and restore sanity to an upside down world. At that time a little known political leader will emerge to reinstate order. “And he shall confirm the covenant with many for one week: and in the midst of the week he shall cause the sacrifice and the oblation to cease, and for the overspreading of abominations he shall make it desolate, even until the consummation, and that determined shall be poured upon the desolate” (Daniel 9:27, emphasis mine). “One week” is seven years. This “One-World” leader will finally bring peace to the Middle East. Israel will finally have peace with its Muslim neighbors. This new world leader will also calm the hearts of the people who are wondering about all the disappearances. He will remind the people that all those who disappeared were all those intolerant Christians who were obstacles to world peace and harmony. He may suggest that all these were taken away by our alien friends who wish to teach us a better way to live, or some such cockamamie story that will be well received by the masses. When I disappear, that great world leader will restore peace to a chaotic world. In order to restore economic stability to the world, he will set up an economic system that eliminates the need for currency. When I disappear, the One-World leader will restore peace to the world, but only for a short season. This will be the beginning of the Great Tribulation described in Revelation 6-19. When I disappear, if you are not with me, you will need to study these passages closely to prepare for what comes next. It won’t be pretty, but if you are wise, this may be that last chance you have to “call upon the name of the Lord [and] be saved” (Romans 10:13). I write this because I love you and I do not want you suffer the horrors that await those who continue to reject Christ or who foolishly afford Him little importance. I want to scare the “hell” out of you, but only so you can be with me when I disappear. Don’t wait to see if the things I say come true (they will); it may be too late by then. Read my article “You Don’t Go to Hell Because You’re a Sinner.” Come with me when I disappear! In my last post, “The Book of Life” I talked about the Book of Life that will be opened at the Great White Throne Judgment. Anyone whose name is not found written in the Book of Life is sentenced to an eternity in hell. I also expressed my understanding that everyone who has ever been born has their names written in the Book of Life initially, but whether they remain there depends on how they respond to God’s offer of salvation. I said this was true with some exceptions, but I did not want to go into the details at that time. The reason I did not elaborate on the “exceptions” is because it might sound a little strange or even weird to some people, and trying to explain it in one or two paragraphs would be next to impossible. In fact, books have been written on the subject, so it would be difficult to explain in just a few words. Just by way of disclaimer: what I am suggesting in the following paragraphs should not be taken as “gospel.” These are simply my thoughts based on studies that I have done, and are not meant to represent any kind of ecclesiastical dogma. There are many things in God’s Word that are not made clear to us, and to attempt to build a case on a shaky foundation is simply foolish. So, I recommend a healthy dose of skepticism before continuing. You may think I am full of bologna, and that is fine. This is something I “think” is true, but I wouldn’t bet my next paycheck on it. So, read on. You remember in Genesis 3 that Satan came to Eve in the form of a serpent and tempted her to eat of the fruit of the Tree of the Knowledge of Good and Evil. She then shared the fruit with Adam who also ate of the fruit so that both sinned by disobeying God’s only commandment – that they should not to eat of that tree. God punished them, as He had warned them, by causing them to die in two ways: (1) they would no longer live forever (when God created man, He intended them to live forever), and (2) they were separated from their Creator. This is what we know as original sin, and all generations since Adam and Eve have inherited original sin. We all have a “sin nature.” That is why the Bible says that “all have sinned and come short of the glory of God” (Romans 3:23, emphasis added). God also cursed the ground from which man was taken so that all of God’s creation suffers because of man’s sin. “For we know that the whole creation groaneth and travaileth in pain together until now” (Romans 8:22, emphasis added). Adam’s punishment was that work would be hard for him, and Eve’s punishment was that she would have pain in bearing children. Imagine just how bad things got that God felt He had to destroy them all. “But Noah found grace in the eyes of the LORD” (Genesis 6:8) and “Noah was a just man and perfect in all his generations, and Noah walked with God” (Genesis 6:9, emphasis added). The phrase that Noah was “perfect in all his generations” does not mean that he was sinless. Remember, “all have sinned.” What this means, then, is that his blood line was not contaminated by the satanic unions of the others. When I say that there are “some exceptions,” this is to what I’m referring. Revelation 17 discusses the apostate church during the Tribulation who the Antichrist will eventually destroy. About those who follow that apostate church it says, “The beast that thou sawest was, and is not; and shall ascend out of the bottomless pit, and go into perdition: and they that dwell on the earth shall wonder, whose names were not written in the book of life from the foundation of the world, when they behold the beast that was, and is not, and yet is” (Revelation 17:8, emphasis added). It is very clear that these were never written in the Book of Life – “from the foundation of the world.” It is as if these were never meant to be born. One would think that the Global Flood should have taken care of all of the “bad seed.” Well, perhaps not all of them. As we continue the narrative in Genesis 6, God sent the Flood that covered the entire earth for almost a whole year. The Bible tells us that Noah and his wife and his three sons and their wives were in the Ark for 371 days, before the earth was once again livable. Then follows an incident where Noah got drunk, and his son Ham saw him naked (Genesis 9:20-29). Ham, instead of covering his father went and told his brothers, Japheth and Shem. So they went into Noah’s tent backward so as not to see the nakedness of their father and they covered him up. When Noah awoke from his drunk and discovered what Ham had done, he cursed Canaan, Ham’s youngest son. So the question is, why did Noah curse Canaan and not Ham or Ham’s other sons? The answer may be that Ham’s wife may have carried some of the “bad seed” of the Nephalim in her, and it showed up in Canaan. One of the characteristics of Nephalim is that they had six fingers. (Goliath’s father had six fingers on each hand and six toes on each foot (2 Samuel 21:20).) Canaan was probably born with six fingers and when Noah saw it, he cursed him. So, some of these probably still exist in our world today with or without six fingers, but God knows who they are. These would not qualify to be written in the Book of Life. There were also other tribes of giants in the land. “That was also accounted a land of giants: giants dwelt therein in old time; and the Ammonites call them Zamzummims; A people great, and many, and tall, as the Anakims” [i.e., sons of Anak] (Deuteronomy 2:20, 21). Here, and in a number of other passages, the word for “giants” is Rephaim, evidently a tribe descended from the “Rephaims” associated with the “Zuzims” and the “Emims” of Genesis 14:5. The Emims also were called “a people great, and many, and tall, as the Anakims” (Deuteronomy 2:10). Now, to further complicate things, I am sure you have heard of UFOs and of aliens abducting humans. I believe (and I am not alone in this) that these are demons that are doing the same thing today as they were doing back in Genesis 6. 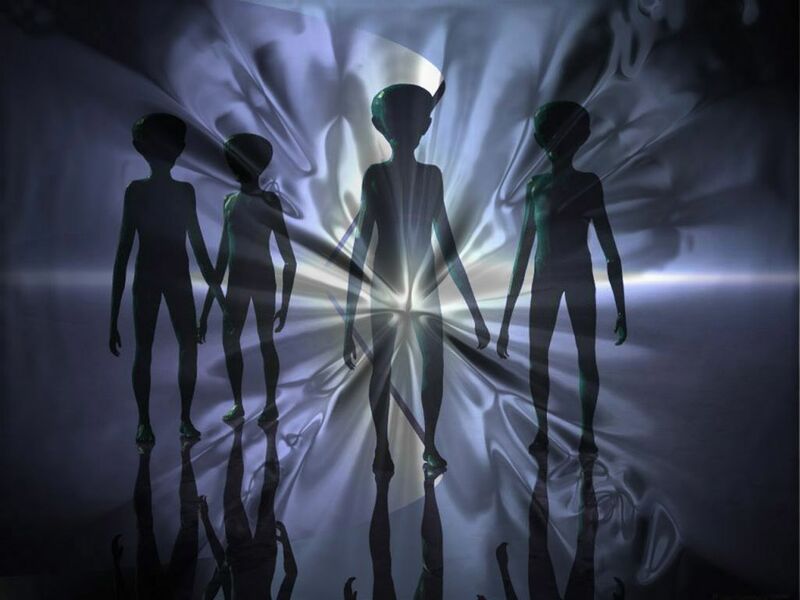 (See my article “Aliens?”) These creatures, that may look very human, were never meant to be born, so their names are not written in the Book of Life. Unless you are one of the nephalim (and you probably are not, if you are reading this), your name is written in the Book of Life. My question to you would be, is your name permanently written in the Book of Life, or is there a possibility that it could be blotted out? That choice is up to you. Watch “On the Trail of the Nephalim” on YouTube with L.A. Marzulli.